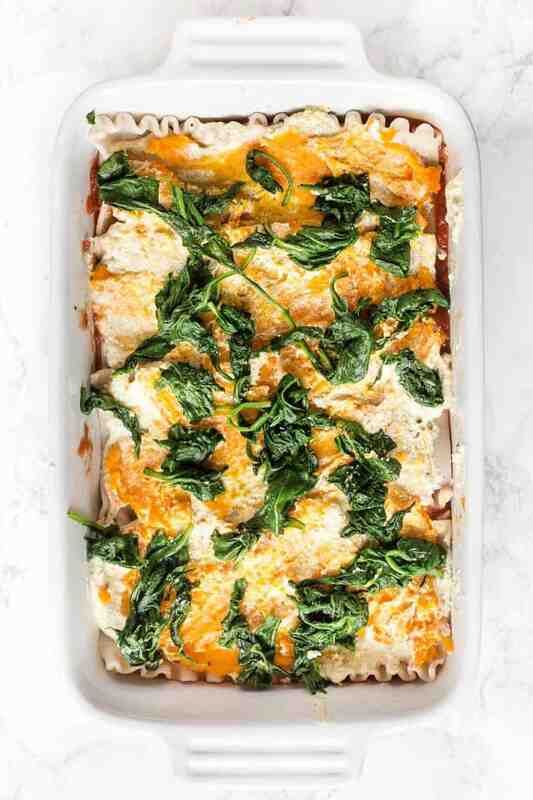 An easy vegan lasagna recipe with butternut squash, homemade tofu ricotta, and spinach for even more nutrition. This recipe packed with flavor, has the classic cheesy texture and is surprisingly easy to make too! 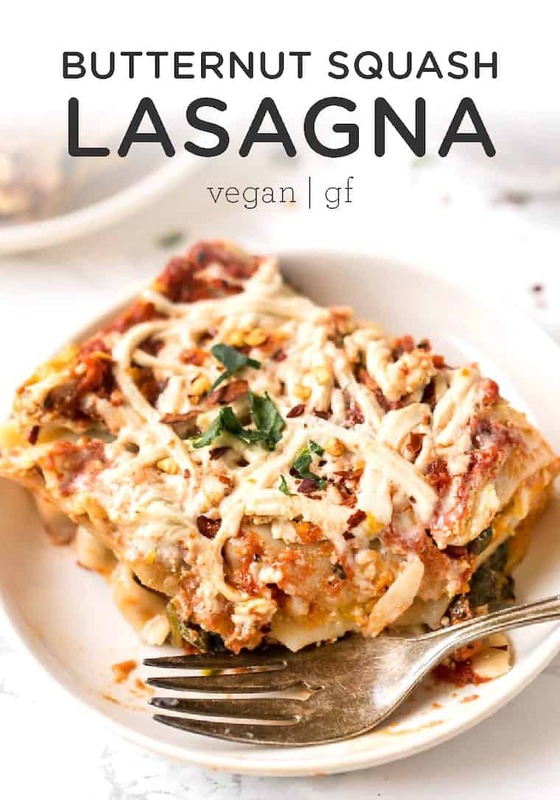 This is hands down the best vegan lasagna I've ever tasted! I know that's a bold statement right out of the gate, but I'm not kidding when I tell you, this lasagna is incredible. Not only does it have that perfect cheesy consistency (sans actual cheese of course! ), but we've also added in a few extras that give it a little extra pop. And best of all? 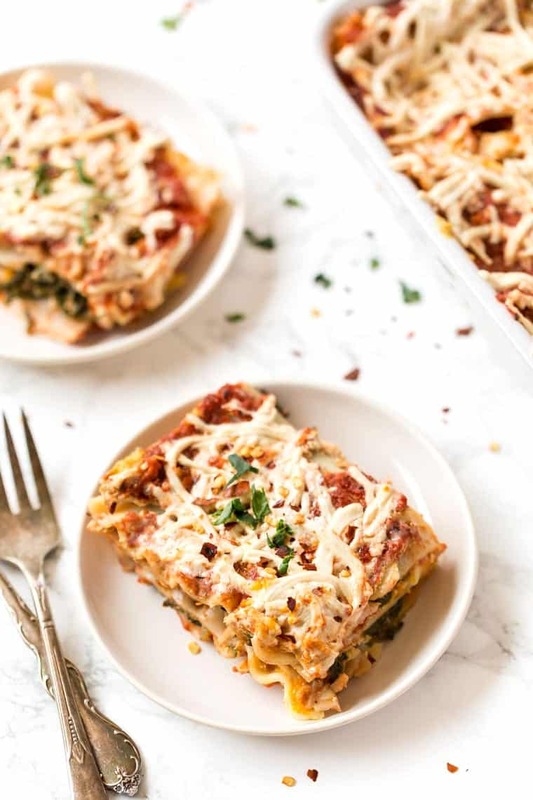 This vegan lasagna is simple to make, is a total crowd pleaser and it can be frozen or meal prepped. Doesn't get much better than that! Now let's be real for a second. The secret to a truly good lasagna is the cheese. It's typically a blend of fresh ricotta and mozzarella. The ricotta gives it richness, while also keeping it light, and the melted mozzarella gives it that gooey decadence. But here's the great thing: you can totally get that exact same texture without the actual cheese! The heart of this vegan lasagna is my homemade tofu ricotta. I shared how to make this last year with my vegan manicotti recipe and I still use it over and over again. You can use this in stuffed shells, in calzones and yes, with lasagna. The blend of tofu with the nutritional yeast, lemon and spices, I honestly think tastes like ricotta. 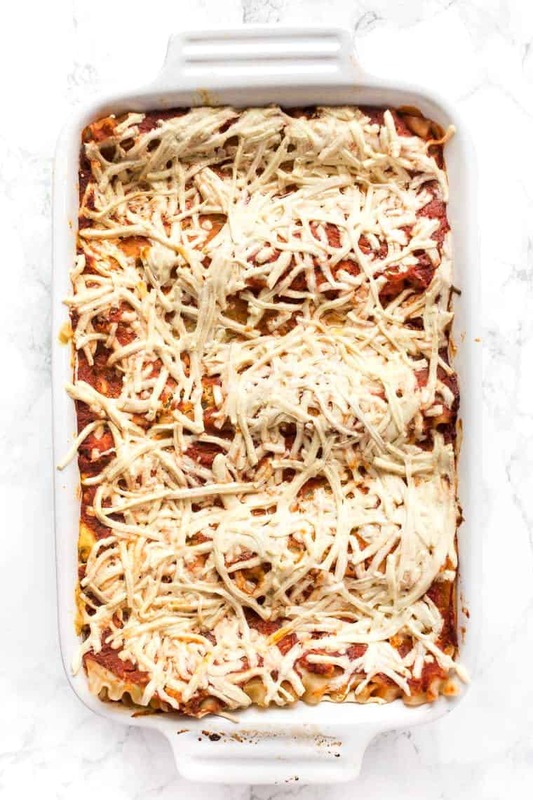 I mean it's not exactly the same, but it's pretty darn close and when it's layered between pasta sheets, tomato sauce, and butternut squash? You'd never know it's vegan! I've personally found that when you're making a gluten-free and vegan lasagna, you'll have the best luck using noodles that get cooked before. The ones that are cooked while the lasagna bakes end up not getting fully done and make the lasagna taste a little dry. And we don't want that! For me, the perfect lasagna is all about the layers. I like to get 3 – 4 layers in, each stuffed with the fillings. The classic lasagna is pretty much just tomato sauce and cheese, but I wanted to make it a little more interesting. So in addition to our tofu ricotta, we're also using some mashed butternut squash and steamed spinach. The butternut squash is out of this world delicious. 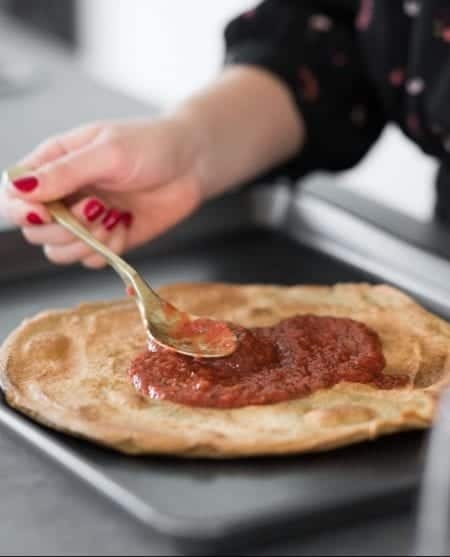 It not only helps keep our lasagna from getting dry, but it also adds this subtle sweetness which balances out the tomato and tanginess from the ricotta. And spinach? It's more of a why not here 😉totally option, but you know I love to sneak my greens in wherever possible! 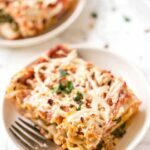 How to Make the Best Vegan Lasagna EVER! What makes this the best vegan lasagna ever? Well since it's SQ and we're making all about making this delicious and healthy, I had to obviously give it my own little spin. Once you've got everything prepped, all that's left is layering. Just layer everything up, sprinkle on some shredded vegan cheese and pop that beauty in the oven until it's melty and bubbling. It truly is the BEST! 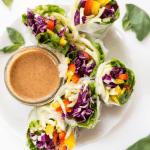 I mentioned this recipe is a crowd pleaser and I can actually say that it is! I first made this right before the holidays and brought it down to our first annual cousin party in Boston. There were about 15 of us at the party, most of which were men who like to eat a lot and definitely prefer meat. I was in charge of handling the main dish, so I decided to test this vegan lasagna out and not tell them it was actually vegan. Guess what? It passed with flying colors and almost everyone ended up asking for the recipe. Which to me is the ultimate compliment! So this lasagna is definitely something that everyone will enjoy. 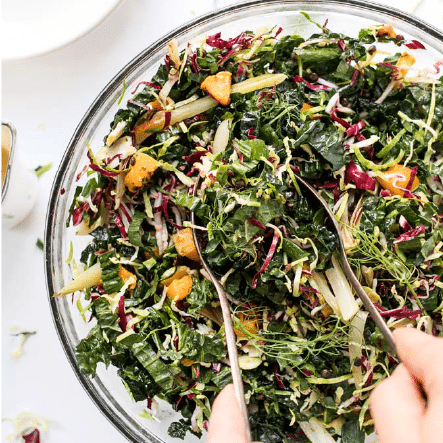 Whether you're serving it up at a party, you're making it for your family, or you just want to have some for meals later on the week (yes, it freezes! ), this is a must-try. I know you're going to LOVE it! 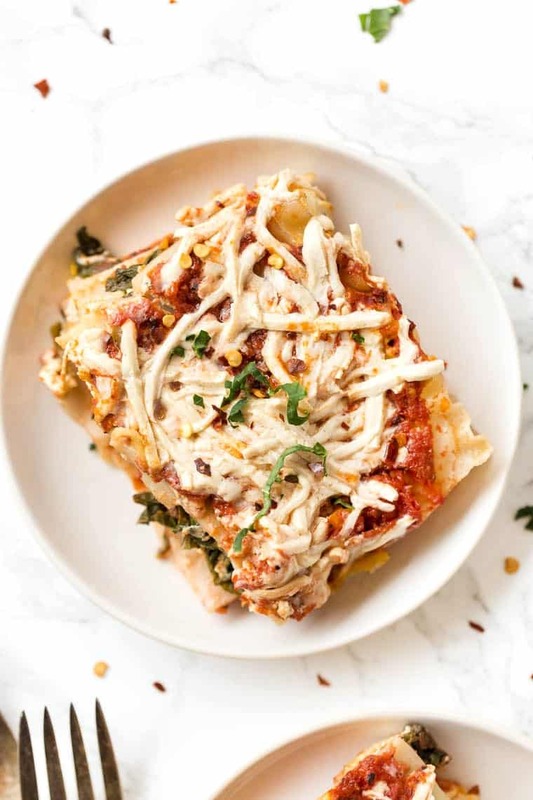 This incredible vegan lasagna recipe is probably one of the best I've ever tasted! It's got butternut squash, tofu ricotta and also spinach for added greens! Cook lasagna noodles according to the package instructions. While the pasta is cooking, thaw the frozen spinach in a small saute pan. Sprinkle with salt and pepper until the spinach is completely thawed. Transfer the spinach to a colander and press out as much water as possible. Set aside. Meanwhile, prep the ricotta and squash (if making from scratch). 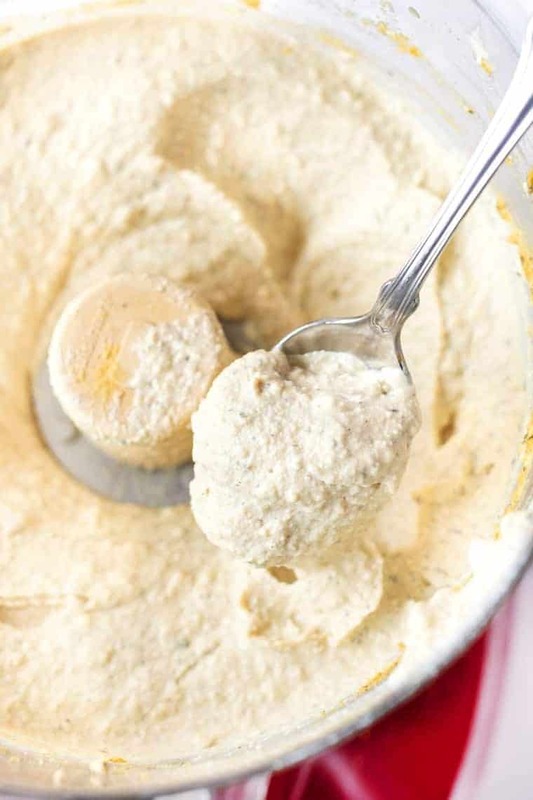 Follow the recipe below this one to make your ricotta. Butternut squash can be cooked using this method or used from a can. Once the noodles have finished cooking, line the bottom of a 9" x 13" with a thin layer of tomato sauce. Add a layer of noodles, 1/2 cup of butternut squash and some dollops of tofu ricotta. Spread evenly across the noodles. Top with some spinach and about 1/4 cup of tomato sauce and again spread evenly across the layer. Repeat this step for another two or three layers (depending on the size of your pan and noodles). Top with a final layer of noodles, spread with sauce and sprinkle with the shredded vegan cheese. Bake in the center of the oven for about 35 - 45 minutes, until the cheese has melted and the lasagna is fully cooked and heated through. Cool for about 10 minutes, then slice and serve immediately. Garnish with red pepper flakes and some fresh herbs if desired! 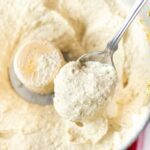 This easy tofu ricotta recipe is the perfect plant-based alternative to use in vegan lasagna, vegan ravioli and vegan manicotti! Place the tofu on a paper towel-lined plate. With another paper towel or clean dish towel, press the tofu to remove some of the water. Crumble the tofu into a food processor and pulse together until crumbly. Add the remaining ricotta ingredients and pulse until mostly smooth. Use immediately or transfer to sealed container to use for future recipes! I just wanted to pop in and let you know that I love the Breakfast Cookie Cookbook! (I forget the real name of it) The recipes are so easy and my family loves them! I wish I could somehow give you a 5 star rating! My husband has high cholesterol. Do you know how I can find out the cholesterol level of this dish if any? 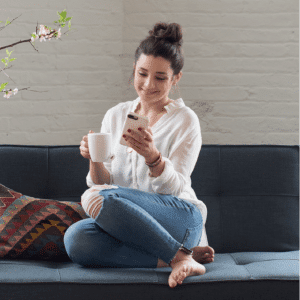 I think you’ll want to plug all the ingredients into an online nutrition calculator! My recipe plugin doesn’t include that info – sorry! Can you use canned pumpkin instead of butternut squash? Made this tonight & it is so yummy! My husband didn’t even know it was vegan! I love all of your recipes!!! Omg that’s amazing!! So awesome 🙂 woohoo!